I would really love to meet as many new faces and see my old friends again at our MEBO Annual Meetup and Conference Orlando, Florida. As I mentioned in the previous announcement, it will be held on the weekend of Friday, April 17th thru Sunday, April 19th. Of course, everyone is invited to stay through Monday or longer, and some frequently come one or more days earlier. The conference is always held on Saturday, and Sunday is a socializing field day, in which we go out as a group to see special sites. If you would like to join us this year, please make your reservations as soon as possible to get a good rate. The lowest online rates are nonrefundable, but for only just a little more, you can hold a reservation with your credit card, and it won't be billed until you check out. Check cancellation policy as well. If you live around the area, or want to stay at another hotel, you can still join us. 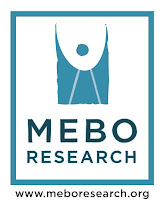 Just let me know by emailing me at maria.delatorre@meboresearch.org, so that we can arrange meeting with you. As usual, we hold the conference on Saturday at 12:00 noon, and then we can go to the Manager's Reception from approximately 5:00pm to 7:00pm. The lake "Crane's Roost" and the Embassy Suites are within walking distance (next to the Altamonte mall), it is a one-mile loop park around a scenic lake. We can then go to any of the many restaurants at the Altamonte Mall, since it's only a few blocks away. Please look that the Altamonte Mall Directory, and give me suggestions of where you would like to have dinner together. You can also see other restaurants in the area that may be of interest, i.e., Chili's or Cracker Barrel Old Country Store, which have a menu with greater selection variety. On Sundays after the conference, those who are able to stay usually do an outing in the town where the meetup is held. Some of you have recommended that we go to Epcot as a group, where we can enjoy the international pavilions and restaurants. However, the entrance fee is about $100 for one person/one day Pass. Others recommend to go to Downtown Disney, which is free of charge. AIRPORT TRANSFERS Double check with the hotel you book to see whether they offer courtesy airport transfers, or what other form of transportation would be required. Saturday, April 17, 2015 through Sunday April 18th. Book your room as soon as possible to get the lower rate! Or call their Reservations number and book over the phone, 866-460-7456. Please come and join me, so that we can spend some time together and chat. I look forward to meeting new faces and seeing familiar faces again!